Capturing the spirit of the 60s, this is the story of one man's physical and spiritual journey through those extraordinary years. 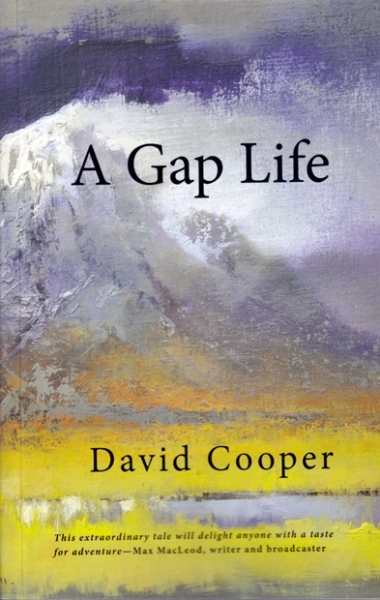 Starting in Aberdeen, finishing in Glencoe, Daivd Cooper travels across Europe, North America and Asia. From a commune in California to the rooftops of Istanbul, traversing the deserts of Iran and Afghanistan, crossing the Karakorum on foot, staying in Tibetan monasteries and remote Sumatran tribal villages, travelling alone, he encounters many iconic 60s figures. From RD Laing, John Lennon, Maharishi Mahesh Yogi and Allen Ginsberg, the acknowledged founder of the Beat Generation, David's travels and meetings give us a unique insight into a fascinating era, one that changed the world.